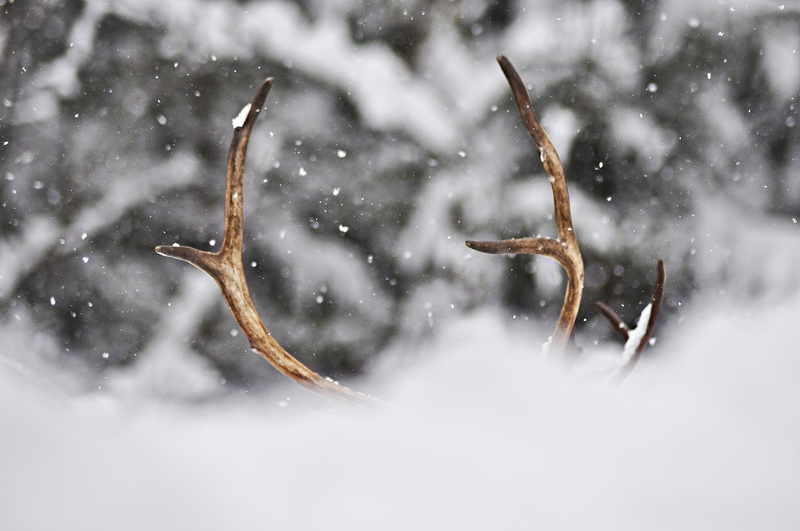 For those who seek an artistic winter print for the living room, the bedroom or maybe the mountain cabin, these reindeerhorns are the perfect choice. Many have bought this poster for their mountain hut or cottage to create a cozy, vintage and northern atmosphere. The reindeers horns pops out of the otherwise black and white background, making it decorative and easy to mix with other photo art and other interior details what ever the trend and colour. The falling snow adds and extra dreamy feeling to this photograph. The story behind it is unknown to us but it raises a lot of questions. Is the reindeer alone or is the herd just behind it? What about white foreground that the photographer is hiding behind which adds a lot of interest to this picture. For those who want to buy this print together with any other motive, we recommend that you look at the category for nature or the category for botanical posters.